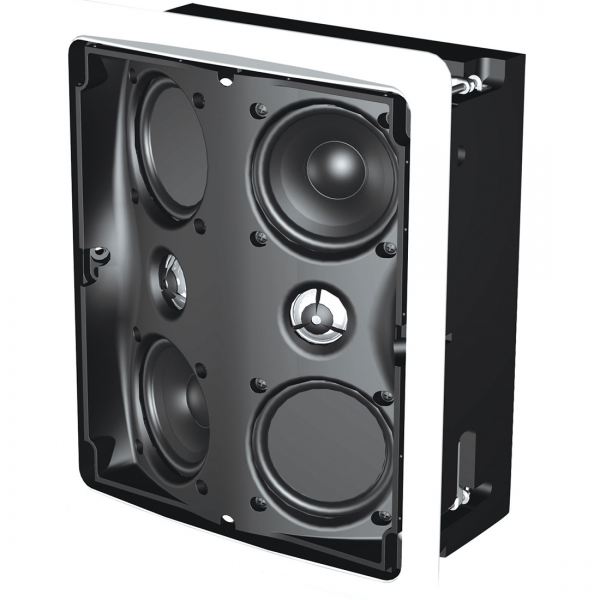 The Definitive Technology UIW RSS III, Reference Architectural Speakers are perfect for bringing spectacular-sounding, high-performance “invisible” home theater systems into every room in your house. The Reference Surround Speaker III (RSS III) is intended for use as an in-ceiling or in-wall rear or side surround speaker in custom installed home theater systems of the highest quality. It features a curved angle bipolar array, which is perfect for movie and music surround use because it provides an ideal combination of direct sound for specificity and localization and ambient sound for enhanced spaciousness. The Definitive Technology UIW RSS III delivers uniquely enveloping surround performance totally immersing the listeners in a complete 360-degree soundstage. Walls seem to disappear and the listening room will be almost magically transformed into the location of the original sonic event. 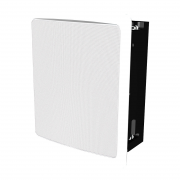 The curved aspect of the bipolar array further improves dispersion into the room. When installed in the ceiling, the direction in which the driver arrays face can be rotated 90 degrees in order to optimize the performance depending on the specific location of the speakers in relation to the seating area. pure aluminum tweeter, for a total of 6 driver/radiators in each speaker. The Definitive Technology UIW RSS III’s dynamic, spacious and uncolored sonic signature has been specifically engineered to blend perfectly with any of Definitive’s loudspeakers whether freestanding, in-wall or in-ceiling for an amazing lifelike sonic experience.